The older a piece of porcelain is, the more likely it will have some type of damage. If it's extremely rare, flaws can be more easily overlooked in antique porcelain although the value will scarcely be as high as if the piece was in pristine condition. Most antique and collectible porcelain will need to be in very good to mint condition to bring top prices when you decide to sell it. It is wise to always thoroughly examine any antique porcelain piece before you make a purchase, and understand how any damage present may impact the value. Ask the seller ample questions when purchasing online to make sure they've thoroughly examined an item they have listed for sale. Ask them specifically if they've checked problem areas as noted below. They can also use a black light to test for repairs, as mentioned below, and that's a wise request if the piece is in the upper echelon price wise. Crazing translates to fine cracks in the glaze or surface layer of porcelain wares. It can also occur in pottery, some plastics, and composition materials (such as the face of a composition doll that has not been properly stored). This type of damage is caused by the difference in the contraction rate in the body material of an object compared to the surface layer of glaze. Improper storage in extreme temperatures (such as those found in attics and basements) or an abrupt change in temperature where an antique or collectible is stored can contribute to the occurrence of crazing. The presence of crazing usually diminishes the value of objects but it can depend on the severity of the damage and rarity of the crazed piece. Rim chips on porcelain pieces are usually the easiest to notice. You can feel for chips in porcelain in the same way that you run your finger along glass to look for sharp edges. This is an old trick that dealers and collectors use to find damage "hiding in plain sight." Don't overlook chips on the base of porcelain pieces though. 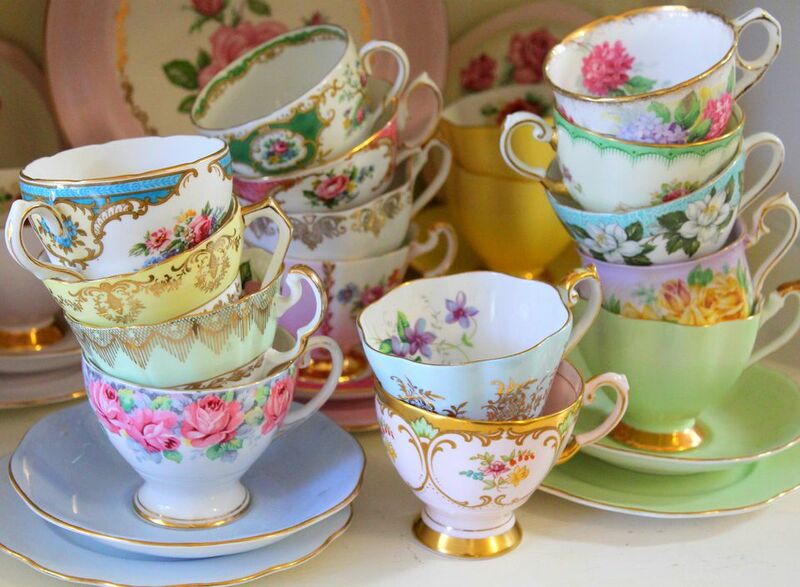 Everything from cups and saucers to vases and figurines can easily become chipped on the base over time as they are moved from place to place. Base chips aren't as critical as a chunk missing out of a rim or the spout of a teapot, for instance, but they should be taken into consideration when valuing porcelain just the same. The size of a base chip will also make a difference. A single tiny flake isn't nearly as worrisome as a big gap. 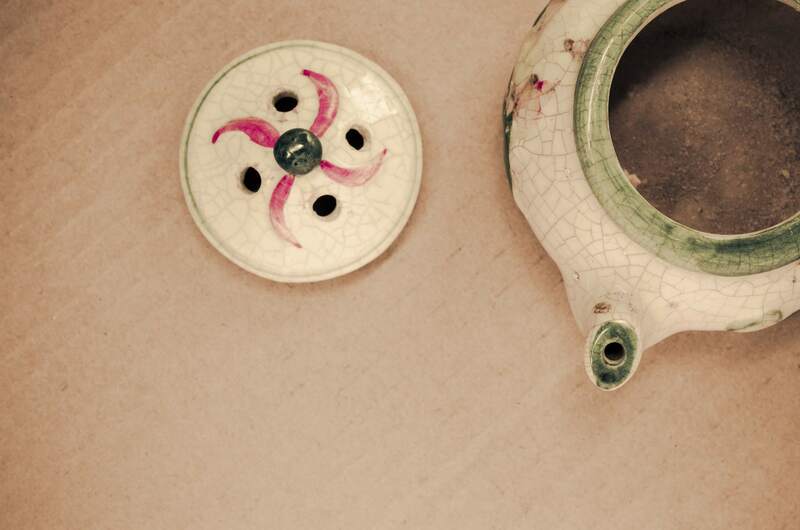 Most cracks in porcelain can be seen when you look at a piece closely. That's not always the case, however, with colorfully decorated items where damage can be camouflaged. One of the best ways to determine if a ceramic piece is cracked is to place it on a flat surface and tap it lightly. If you hear a light ring, the piece should be fine. If it sounds more like a dull thud when tapped, there's a good chance the piece has a crack somewhere in the porcelain and it should be examined more closely. Hairline cracks are usually more visible on the inside of items such as pitchers and vases, so shining a light inside them can be helpful. If possible, before buying a piece of porcelain, take it into a darkened room with either a handheld or keychain black light to test for repairs. A good repair job might not be easily detected just visually examining a piece, but will become obvious testing under a black light since glue used in repairs will fluoresce. Modern paints will glow under the black light as well, so you can also detect touch-ups, repaints, and embellishments with ultraviolet light. Some repair jobs are better than others. Professionally applied repairs may actually preserve some of the value in a very desirable piece. Most repairs, however, diminish the value greatly in all but the rarest occasions so it's wise to ferret them out before paying a good sum when adding a piece of antique porcelain to your collection.